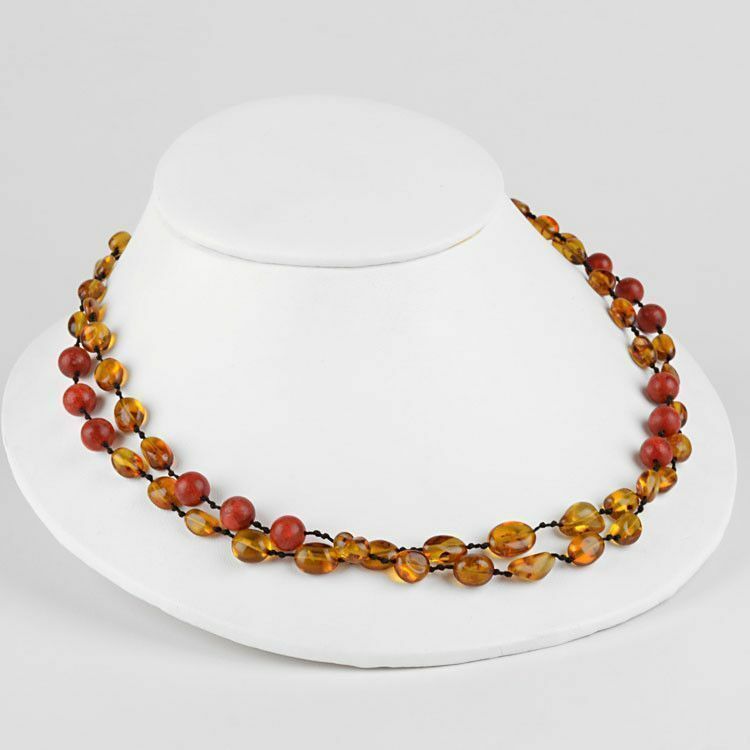 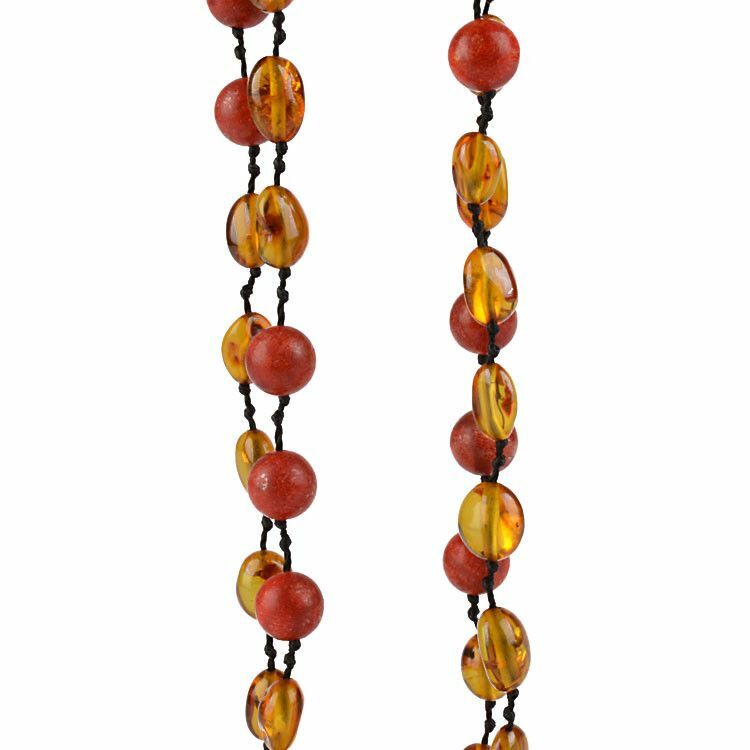 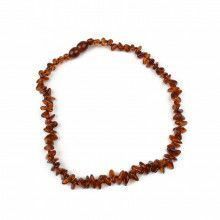 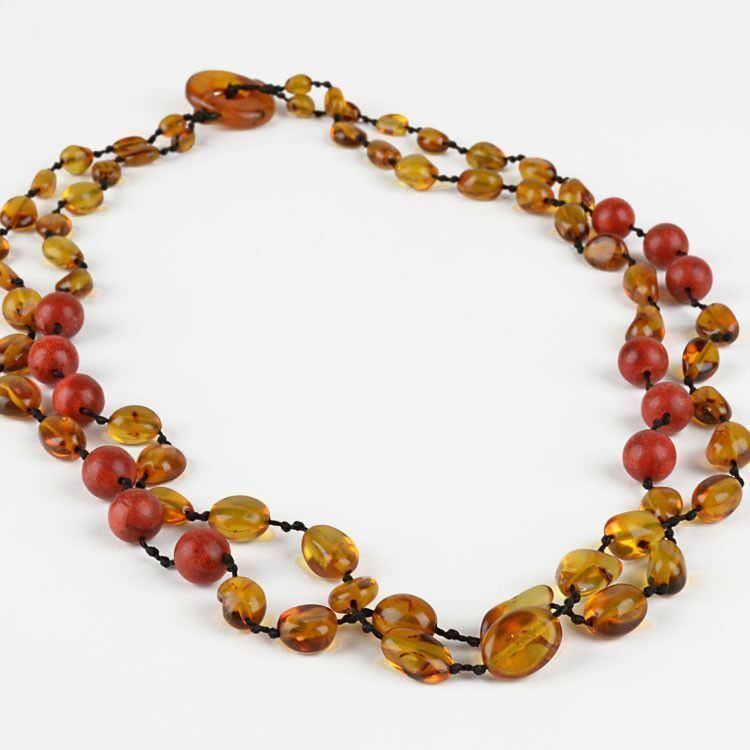 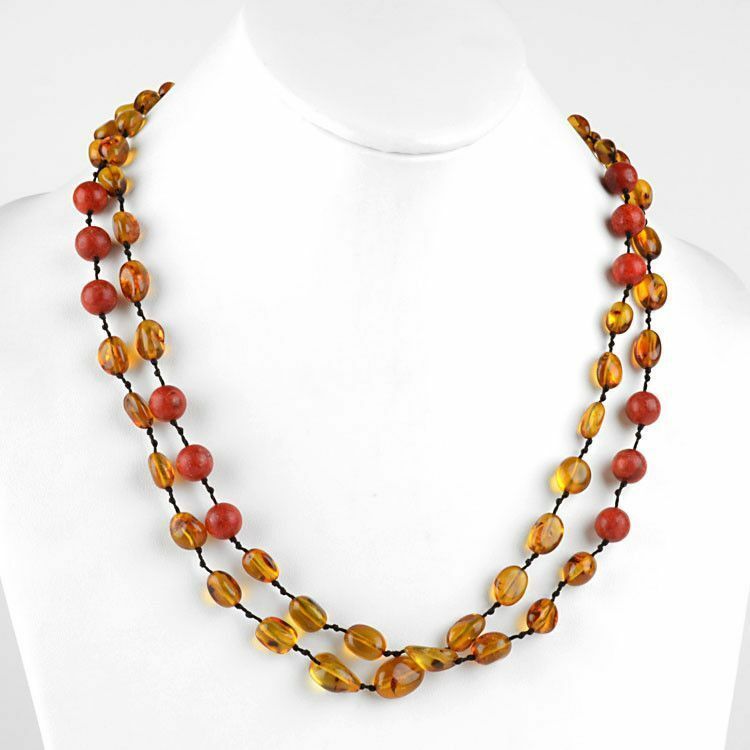 This hand-crafted and beautiful 21" necklace features two layers of both Russian amber, and natural red coral beads. 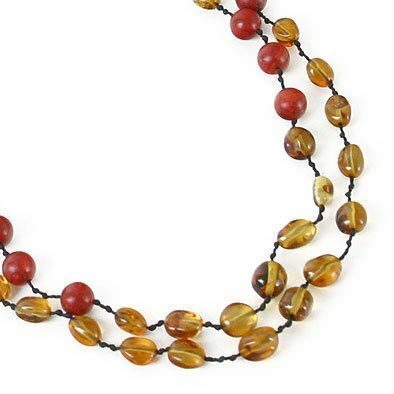 In between each bead there are two knots; for spacing and for durability. 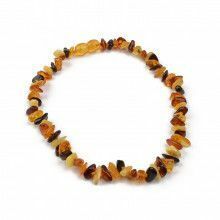 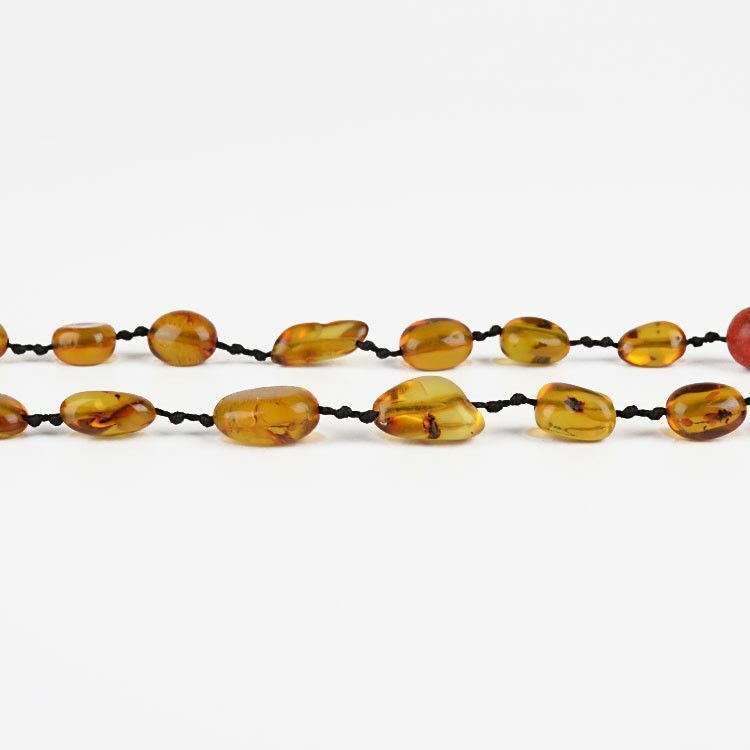 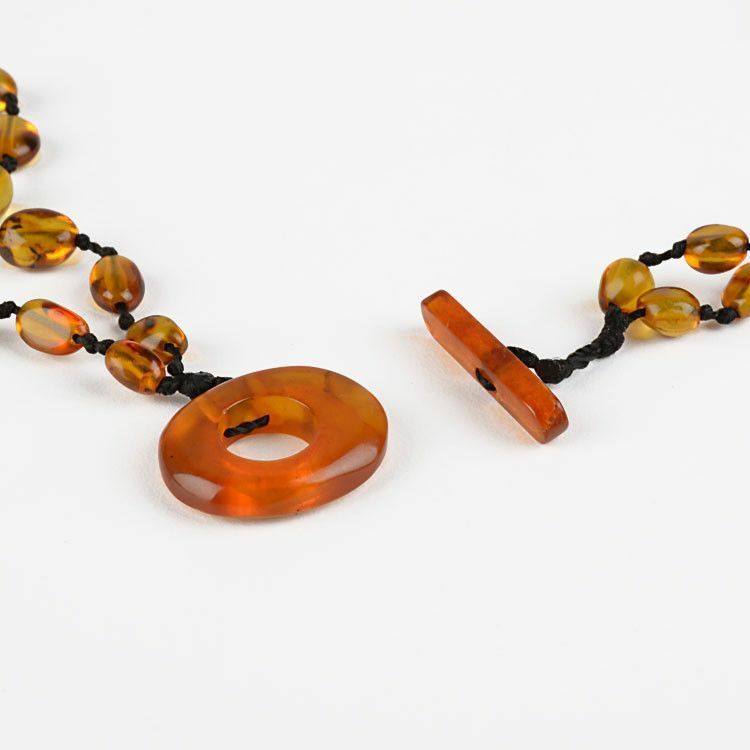 The fashionably modern toggle clasp is made of amber as well. 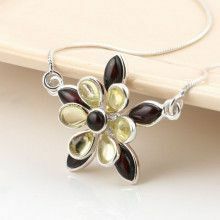 Truly a beautiful piece of jewelry for any women's neck!